Heat’s breaking into your home — but only to help protect it. Our client, NETGEAR’s Arlo, is a home security brand on a mission to help you protect and cover every angle of your home with their versatile range of smart security cameras. 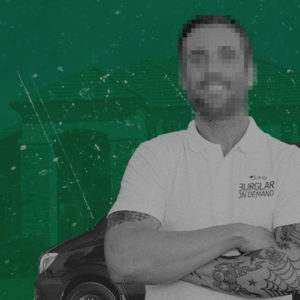 Led by former burglar-turned-security-expert Jon Douglas Rainey (who infamously stole the trophy Corvettes from the 1987 Miss America Pageant), our team of anonymous theft experts and Arlo™ engineers are live on Twitter until December 16th to answer the public’s home security questions. So Tweet your questions and help protect your home. From those who might be interested in sneaking into your yummy snacks…like us.